Saturday morning, Sept. 15, 2018, at approximately 12:06 a.m., officers were dispatched to the intersection of Victoria Street and Pacific Avenue regarding an injury traffic collision. 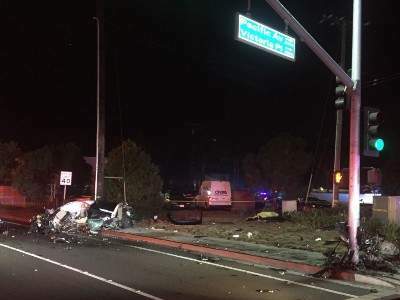 Officers arrived to find a black 2015 Honda Accord had struck a traffic signal pole. 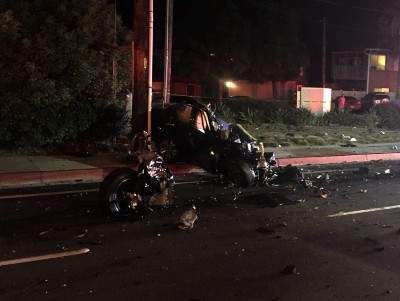 The driver of the vehicle, 26-year-old Patrick John Harris from Huntington Beach, was pronounced deceased at the scene. The CMPD Major Accident Investigation Team (MAIT) responded to the scene and began their investigation. CMPD is asking anyone with additional information, specifically witnesses who may have seen the Accord on Victoria Street prior to the crash, contact Traffic Investigator Darren Wood at (714) 754-5264. Nearby businesses and residents along Victoria Street with video footage from last night are also asked to contact Investigator Wood.